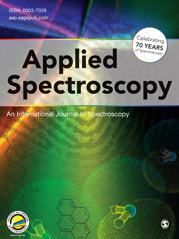 We recently published procedures describing the isolation of absolute infrared spectra for the intermediates of the bacteriorhodopsin (BR) photocycle and from these, obtaining transitional difference spectra between consecutive intermediates. In that work, we concentrated mainly on proton-binding centers and the route of proton transport across the membrane. In the current study, we used isolated spectra for the amide I, amide II, and amide III envelopes to obtain quantitative information on the extent of conformational change accompanying each transition in the photocycle. Our main finding was that most of the conformational changes occur in the conversion of the M<sub>F</sub> intermediate to N. In our earlier publication, a new proton acceptor, absorbing at 1650 cm<sup>-1</sup> was identified, which appeared to accept a proton from Asp96COOH during the transformation of BR† to L. Below, we present evidence that supports this interpretation and propose a possible role for this new component.